MEMBERSHIP Dorchester membership is limited to 250 families who each own one share of stock in the pool. Stock can be purchased after membership is approved, then annual dues is assessed each year. As owners, we all pitch in to help prepare the pool and grounds for each new season. All members are required to participate in one spring work day (for a total of at least 4 hours per family) or pay an extra $100 fee to opt out of their work day requirement. 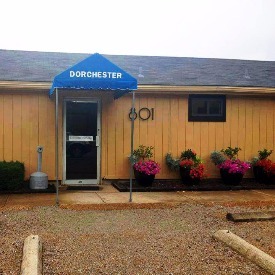 No upcoming events hosted by Dorchester Swim and Tennis Club at this time.